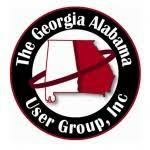 This year’s Georgia-Alabama Lawson User Group will be one of the last events that ROI Healthcare Solutions will participate in this year! We look forward to connecting with our clients and building new relationships in healthcare. Bill Starks, Danielle Watson and Dana Spencer will be ready to network on November 17, 2017 at Gwinnett Medical Resource Center in Lawrenceville, Georgia.